Michael Clark is an internationally recognized outdoor photographer specializing in adventure sports, travel, and landscape photography. 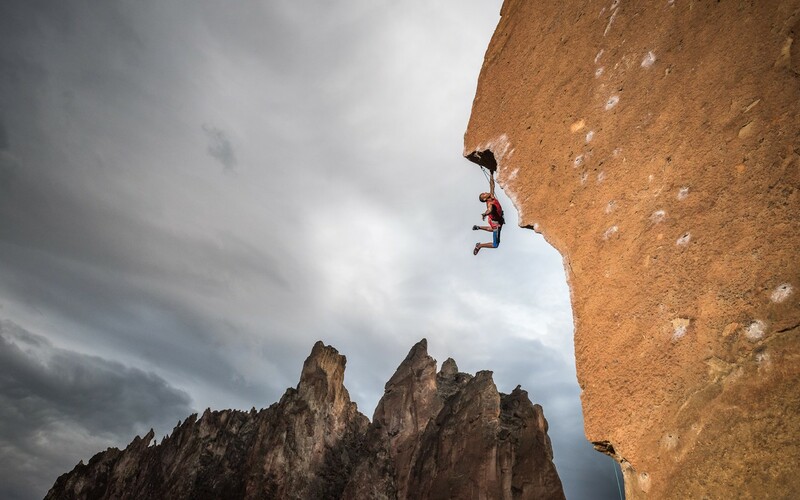 He produces intense, raw images of athletes pushing their sports to the limit and has risked life and limb on a variety of assignments to bring back stunning images of rock climbers, mountaineers, kayakers, and mountain bikers in remote locations around the world. He uses unique angles, bold colors, strong graphics and dramatic lighting to capture fleeting moments of passion, gusto, flair and bravado in the outdoors. Balancing extreme action with subtle details, striking portraits and wild landscapes, he creates images for the editorial, advertising and stock markets worldwide. 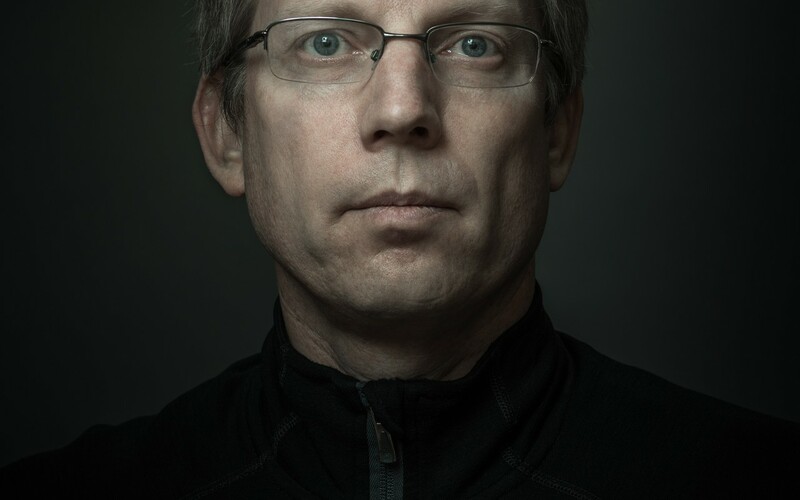 He contributes to National Geographic, National Geographic Adventure, Sports Illustrated, Outside, Men’s Journal, Backpacker, Outdoor Photographer, Digital Photo Pro, Climbing, Alpinist, Rock and Ice, Bike Magazine and The New York Times among many others. We had this opportunity to catch up with Michael and talk about his long and fascinating career. Tell us about your decision to become a photographer. How did your career start? As a kid, I was a dreamer. I wanted to be an astronaut, or a pro tennis player, or a photographer. How I became a photographer is a long story. I started out in art and early on my mother noticed a talent for drawing. From an early age I was in art classes, even before starting school. I experimented with a wide variety of art mediums including everything from drawing, painting, sculpture, glass blowing, lithography and photography among others. I looked at a lot of different art and was really inspired by Dali, Picasso, Van Gogh, and the renaissance painters. I also had a teacher in Junior High School who took me under his wing and taught me how to process film in the darkroom and how to make prints. I ended up working for him at his studio over the summer. My first camera was my dad’s Olympus OM-1 and was soon replaced with a Nikon FE2. These days I work with the latest high-resolution Nikon and Hasselblad digital cameras. I studied Physics in university. I didn’t take a single photo during my five years at university. It wasn’t until I started rock climbing that the camera came out. It was literally climbing that brought me back to photography because the locations and vantage points from high up on the cliff face were so amazing they screamed to be photographed. After university I stopped looking for Physics jobs and started traveling full time to climb as much as possible. While sitting in the south of France at a climbing area known as Buoux, it dawned on me that my climbing images were similar to the ones in the Climbing magazines and maybe I should submit some of my images to the magazine. It was my passion for climbing that naturally led me into climbing photography and also into the adventure sports world. Early on, I was inspired by a lot of the established climbing photographers. At that time there were really only 25 or 30 professional climbing photographers worldwide. After a few years I started to look at a much wider array of photography, not just adventure sports photography. 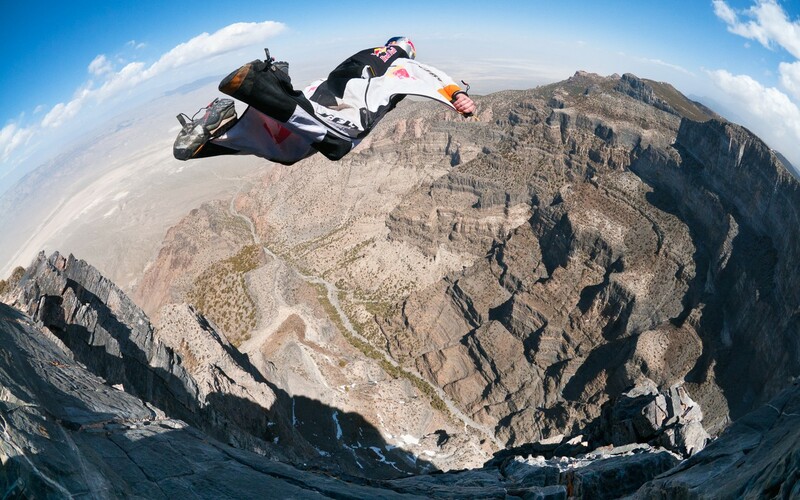 You’re a master of adventure sports photography. Every sport is fast-paced and involves lots of movement. So when you’re presented with a less than ideal situation, how do you find your best angles and subjects? Typically for my assignments, I set up the action and direct it so that we can capture images and content at the optimum time of day for the location. For those rare assignments where I can’t control the action, then my assistant and I use artificial lighting (i.e. strobes and/or continuous lighting) and we augment the light as best as possible. If it is a truly less than ideal situation, we have most likely discussed that with the client beforehand to make them aware that it won’t be up to our usual standards. As for angles and subjects, that comes down to experience and working with the athletes to create something that really grabs the viewer. 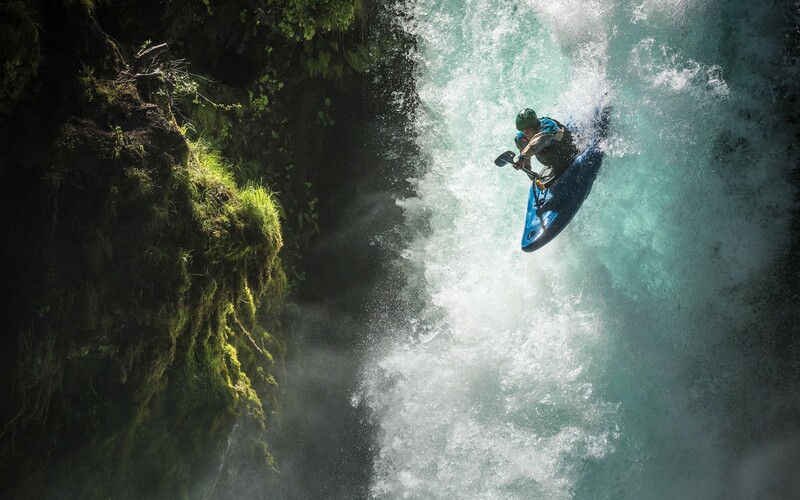 What five tips for adventure sports photography could you give to modern photographers? Learn the craft of photography inside and out so the camera is second nature. Be a participant in the sports you want to capture as this will vastly increase your understanding of that sport and how to capture it. It’s not about the gear. Get the best gear you can afford and then come up with creative ideas and concepts for new images. Good photography is directly related to hard work. There are no shortcuts. That isn’t to say that every image is difficult to make, but the best ones generally have some serious preparation and sweat behind them that may not be obvious in the image. Take the time to look at a wide variety of images (books, websites, etc.) so that you can gauge how your work stacks up against other photographers from the present era and those that came before. Get off Instagram and look at the work of the masters. What single piece of photo gear could you never part with? The camera would be tough to do without…but given that it is a part of every shoot I would have to say my lighting kit is vital to my current work. My Elinchrom strobes allow me to create images that were never possible before and that is very exciting. They allow me to create stunning images when the light is pretty bland or way too contrasty. Many of the images included with this interview were lit with artificial light. 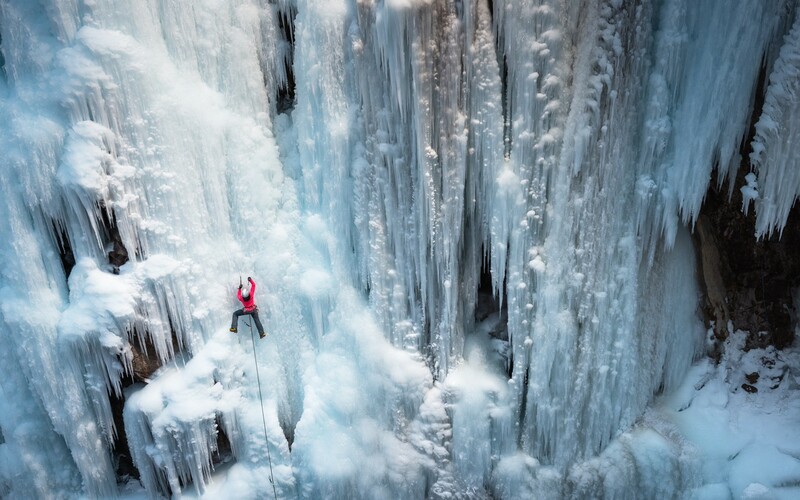 What advice do you give to young aspiring photographers who are looking to get into adventure sports photography? If you are looking to make photography a career, it won’t be easy. It has never been an easy way to make a living. But, it is an incredibly fulfilling lifestyle. Photography isn’t a job; it’s a lifestyle. You have to be all in. Making it as a freelance photographer is not unlike making it as a pro athlete. You will have to make your career the focus of your life to make it work. It takes serious passion, motivation, thick skin, and hard work to make a career in this industry. The key phrase in that last sentence is hard work. It doesn’t matter how much talent you have or how good your people skills are, if you don’t work your buns off, you aren’t going to get very far. If you don’t want a career as a photographer with every fiber of your being, then the bad news is you probably won’t ever make it really happen. I think having a concrete sense of what you are in for at the beginning will help when the hard times come. It did for me. On the positive side, there is always room for those that can make incredible images on a consistent basis. Photograph what you are passionate about. The best advice I ever received, and which is still the best advice I can offer, is to keep your overhead as low as possible. Learn the business. Learn how to price your work. Join a professional photography organization. Learn from those that have been in the business a long time. Perfect your craft. Be professional. Do what you say you are going to do. And finally, be easy to work with and get along with – you’d be surprised at how far that will get you. 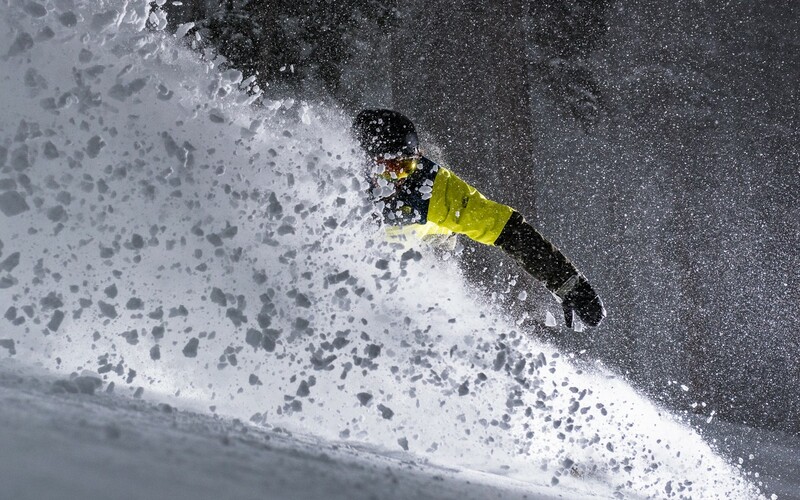 The life of a professional adventure sports photographer – or any photographer for that matter – isn’t nearly as glamorous as many people imagine. Sure, every once in a while I am traveling to exotic locations and I do get to hang out with world-class athletes quite a bit. But the reality is back-breaking, risky work, long days, some serious suffering on occasion and backpacks that weigh 45 Kg. Sometimes I spend more time in airports than I do my own bed. I give everything on assignments and usually come back physically exhausted and/or sick. But, having worked as an adventure photographer for the last 23 years, my career is still my passion – as are the sports I capture. There is a ton of info on my website for those interested in gear, advice, the industry, and education. My two e-books A Professional Photographer’s Workflow and Location Lighting for the Outdoor Photographer are both densely packed with info. They are a great place to start if you want to improve your photography and take it to the next level. Also, I do teach a few workshops each year. Check out the list of workshops coming up on my blog. This winter, I will be teaching a very unique Surfing Photography Workshop alongside my good friend, and legendary surfing photographer, Brian Bielmann on the north shore of Oahu. ... place to start if you want to improve your photography and take it to the next level. Also, I do teach a few workshops each year. Check out the list of workshops coming up on my blog. This winter, I will be teaching a very unique Surfing Photography Workshop alongside my good friend, and legendary surfing photographer, Brian Bielmann on the north shore of Oahu.